Bypass vs Anvil Secateurs | What is the difference between bypass and anvil secateurs? What is the difference between Bypass and Anvil secateurs? 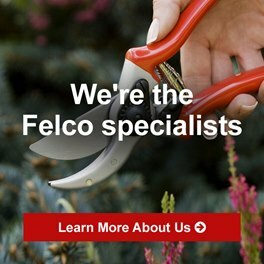 There are two types of Felco secateurs (Felco pruners); anvil and bypass. Bypass secateurs encompass most of the range and are by far the most popular option. If you're using secateurs with an anvil cutting action to perform the majority of your pruning in the garden, chances are that you're using the wrong tool. Keep reading to find out more. To make the most of your garden or outdoor space you need the right tool for the job, Felco Secateurs are a gardening essential as far as we are concerned - with an extensive range to browse; the first question to answer is which type will suit your needs best. Here are the key differences between anvil secateurs and bypass secateurs. Picture a knife and chopping board like you have in your kitchen at home, this is essentially how a pair of anvil secateurs or pruners work. A sharp blade is pressed down to meet a flat metal base; the blade is forced through your cutting material - the process produces the cut. The blades meet in the way a hammer and an anvil would but unlike the hammer, your cutting blade is razor sharp (when maintained correctly). The benefit of anvil secateurs is power, with a wide point at which the cut is made you require less force. This is great for hardier branches, woody stems, dead wood and the like. However, think of this cutting action as more of a crushing action with two blades meeting rather than bypassing one another as a pair of scissors would - the cut is not as clean and will crush sensitive live plant material and tissue. Unlike a bypass pruner which when used correctly will do virtually no damage to your plants. Crushed stem tissue till take far longer to heal than a cleanly cut stem would. We recommend Felco Anvil Secateurs for pruning dead wood and hardier stems only - cutting jobs where more power is required. Virtually the entire range of Felco secateurs feature a bypass cutting action, and with good reason. The bypass cutting action mirrors the way a pair of scissors work, two sharp blades bypass each other and produce a clean precise cut. This method is extremely adaptable and suits a choice for all round use. When using Bypass secateurs to prune you can make your cut near the bud without stress and the risk of damaging the stem that you would encounter with anvil secateurs. Chances are that if you're new to gardening (or just pruning) and have ever picked up a pair of secateurs used by your parents, friends, nearest and dearest - you've probably been handling a bypass pair as these are by far the most popular (we would be lost without ours). This cutting action is very familiar to all gardeners. 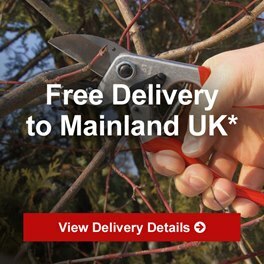 We recommend Felco Bypass Secateurs to virtually all of our customers as the best option for all round use - they produce a trusted and precise clean cut time and time again. 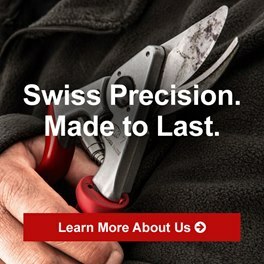 The Felco range is extensive; with bypass and anvil options to suit all hand sizes and cutting needs. We recommend that you take the time to read through our product descriptions which have been carefully written to help you make your decision. For general purpose use we would suggest you opt for an "all rounder" bypass option such as the Felco Model 2 Original or the more ergonomic Felco Model 8 Classic. These models are for right handed users. If you're looking for an anvil option then consider the Felco Model 31. The above will suit most people but not all, Felco have options for everyone - professionals, the layman, occasional gardeners, left handed and right handed users; models designed for those who suffer from arthritis and secateurs for small, medium and large hands too. 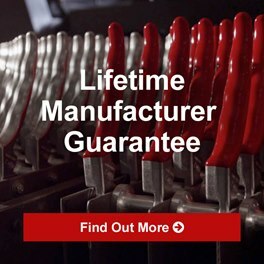 If you're unsure how best to proceed then then please feel free to call our team of Felco Experts on 0208 829 8850 and we'll be happy to help you choose the pair which is right for you.